An online version of the final project proposal for my Masters of Education degree at Cal State East Bay. 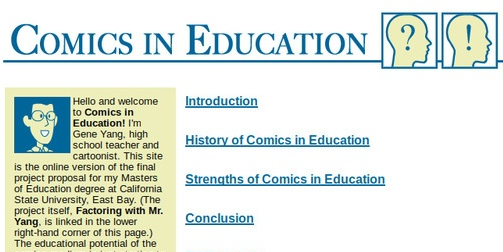 The educational potential of the comics medium is just starting to be explored by the educational establishment. Comics in Education is my own small effort to help the process along.